Home How To Score Band 7+ in Academic Writing Task 1? NOTE: This topic is for IELTS Academic Training test ONLY. If you are taking the IELTS general training test then skip this topic. In IELTS Academic Writing Task 1 you are expected to write a short descriptive report of at least 150 words based on visual information or data. This visual information is most commonly presented as line and bar graphs, pie charts or tables. You might be asked to describe two graphs or charts. If this is the case, you need to compare and contrast the information and make connections between the two. It might sound simple but there are some critical techniques that you must demonstrate in order to get a band score of 7 and beyond in writing task 1. 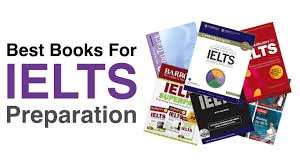 If you fail to do the following then you will NOT go beyond IELTS Band 6. In today’s IELTS playlist, you will learn the must-do techniques for scoring a Band 7+ in IELTS Academic Writing Task 1. Always write an introduction. However, do not merely copy the words from the question as your introduction. Rephrase the question and use synonyms instead. Highlight the key features in the figure using statistics and percentages and explain them clearly and appropriately. However do not include every single detail in the figure. Pay special attention to the units. Organize key points into paragraphs. No bullet points or short notes. Always write an overview at the end. Use "To sum up" instead of "In conclusion" for the overview. Write at least 150 words in your report but no more than 200 words. Spend no more than 20 minutes on Writing task 1 so that you have 40 minutes for Task 2. Task 2 is worth twice as much as Task 1 and so you must spend more time on Task 2. Use a wide range of grammatical structures and vocabulary. Click on Mark Complete button below and move to the next lesson when you are ready. Tomorrow I will share a secret with you that will sky rocket your IELTS writing band score and give you an unfair advantage over other candidates. See you soon..